The scope of work for Fluoroscopy Room #6 was to replace outdated fluoroscopy equipment, make the room more functional, and give the room a more current appearance. We also added a new accessible Toilet Room dedicated to the Fluoroscopy Room. The design incorporates natural elements including a full wall photographic image of Yosemite Valley, wood look sheet vinyl flooring, and faux skylights. 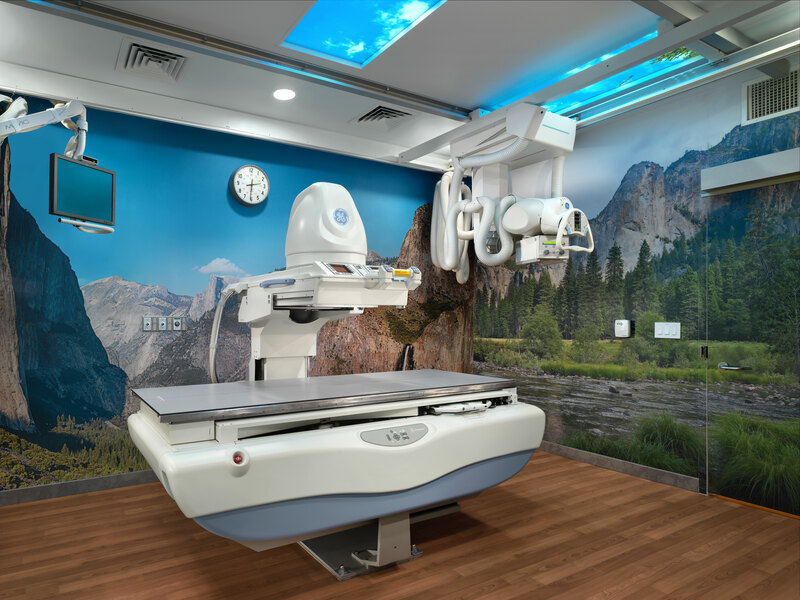 The project also included remodeling of patient dressing rooms for the Radiology Department to bring them into ADA compliance.